Could A Marathon Be The Hardest To Tick Off Your List? 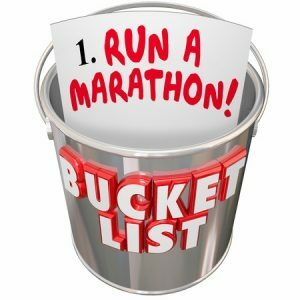 Is a marathon on your bucket list too? You’ve probably heard people boldly proclaim their intent to run a marathon as part of their bucket list. But how many people actually do it? Chances are, most will pass on without having done a marathon. Running a marathon is not an after-thought. You have to prepare your mind, body and spirit to run for more than 2 hours under the heat of the sun and on hard ground. But it should be on your bucket list. Why? Read on and be convinced! Running a marathon is not an activity you will do in a whim or on a dare. It is an event that will take months of preparation. If you’ve done a Half Marathon or 21 kilometers, you could probably get ready in 18 to 22 weeks. If you’re planning for your first full 42 kilometer marathon, you may need 24 to 32 weeks. You will have to build up your endurance by running a number of races over the course of your preparation. 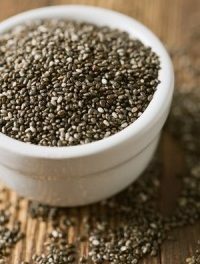 The training and nutritious meal plans will definitely keep you healthy and fit. Statistically, only 1 out of every 200 people will ever run a marathon. That is less than 1% of the entire global population. Ask your friends, associates and even acquaintances if they’ve ever run a marathon. It will probably take you a while to find one. 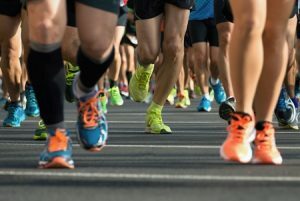 So while others’ bucket list would include “To swim with whales” or “To cross the intersection at Abbey Road”, your goal of running a marathon will set you apart from everyone else! Running a marathon is one of the most challenging events you can ever do in your life. If you haven’t run a marathon, start by watching one on TV. You can see the pain etched on the faces of the runners with every stride they make. Their lean bodies exemplify the hard training 4-6 months earlier. Their legs are toned; waists are firm and trim. But at the finish line, many collapse. Their legs have grown numb from the pounding. Many are out of breath, dehydrated and hungry. Many will swear never to run another marathon. Yet, within a month they are back pounding the pavement; ready to take on another marathon! Once you’ve gotten through and completed your first marathon, all the other challenges you face in life will be much easier! You’ve heard of “Runner’s Wall”. It is a term which describes a stage in the race where the runner appears to have reached his or her physical and mental capacity. How does it feel to hit The Wall? Your legs will feel like they were made of cinder blocks. Your once gazelle-like stride has become a Penguin-shuffle. Your breathing has gone out of pace. Your mind has started its own race of finding the best reasons to quit. Every runner goes through The Wall. But the best ones are able to bite down and find the will to shut out the noise and storm through The Wall. 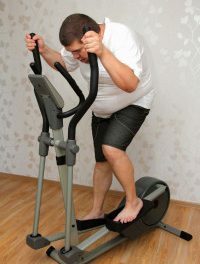 If you are able to overcome these moments of weaknesses, you can and will finish the marathon. You’ve heard the phrase so many times before it has become cliché: “Life is a marathon, not a sprint”. The fact of the matter is, yes, life is a marathon! Every journey we take in life starts out with the first step. From your first day in school, your first job, first venture into business or parenthood, all of these start out slowly and eventually pick up pace. Along the way you meet different challenges. Some will make you want to quit. Some may take you off-course. How you deal with these challenges will determine whether you succeed in achieving your goal or finish the race. And when the goal has been accomplished, what do you do next? Find another goal and plan the next race! The marathon is without a doubt a grueling race. But in the middle of the race or when you’ve hit The Wall and your dream appears ready to fall apart all you need to do is to look around you. You see all the faces smiling and cheering you on or you notice the beautiful scenery and realise this is the greatest accomplishment you can do in your life!